Unlike other roofing companies, we specialize not only in residential but in commercial roofing as well with the same level of quality and professionalism that our company represents. Our roofing contractors have been services local businesses for over 15 years and have become professionals in commercial roof installation, restoration, & replacement! We understand and always keep in mind how much of an investment any commercial roofing project is and the work we do will guarantee this investment will be well spent. Even if you don’t need a whole installation, regular maintenance can be important and could potentially add years to the life of your roof and can end up saving you thousands of dollars in the future! If you have never had any kind of regular maintenance done on your commercial roof, you could potentially be costing you loads of cash down the road if any potential problem isn’t addressed quickly. A commercial roof restoration done by us here at Professional Roofers Co. can add up to 20 years to its lifespan! Not to mention it is about half the amount of a roof replacement cost. Don’t worry about any noise or distractions inside your building, we have been doing this for a while and have learned how to perform all of our commercial roofing services without anyone even knowing we are there. You won’t hear a peep from our roofers and we won’t leave until your roof looks brand new! Similar to our residential roofing, our commercial services and building materials that we use are among the best on the market. We have finally gotten to the point as a roofing company where we have the equity to offer some of the lowest prices around without sacrificing any quality or service. 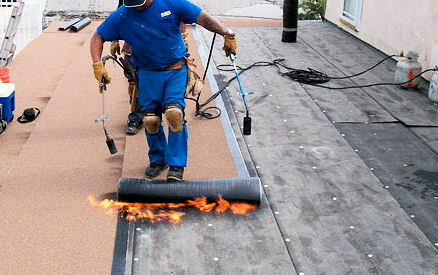 You won’t find a roofing supply group with better tools and materials than us. We offer a variety of warranties, from 5 years to a lifetime so you can rest assured that this investment will not be in vain. That is our promise and guarantee!